Our aluminum, reusable water bottles are custom printed with your name, initials, favorite sport or whatever you want! We are happy to print a design just for you. Choose from one of our designs or contact us with any other custom idea. 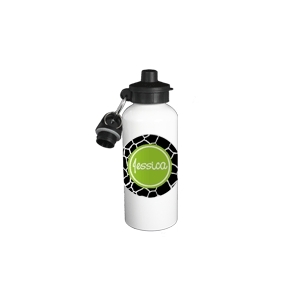 Our custom printed water bottles are perfect gifts for any occasion including birthdays, coaches gifts, teachers presents, Christmas presents or any time of year. Our reusable water bottles are eco-friendly too.